$499 Seen a lower price? The second musical instrument in the Pioneer TORAIZ range, the AS-1 is a monophonic analog synthesizer that brings creative possibilities to the studio and the stage. Its intuitive controls include parameter knobs that let you make both subtle and dramatic changes to the tone of your music to create your own personalized sound. Plus you can use the touchpad-style keyboard and slider to manipulate sounds during performances. The TORAIZ AS-1 is driven by a fully programmable, true analog synthesis engine based on the discrete analogue circuitry in Dave Smith Instruments' Prophet-6 synthesizer. 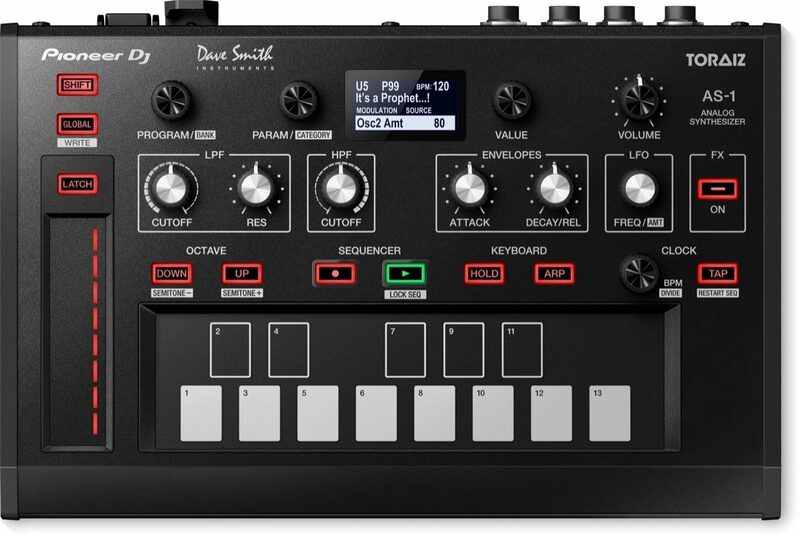 It also inherits 7 on-board effects from the Prophet-6 synth as well as a brand new digital distortion. 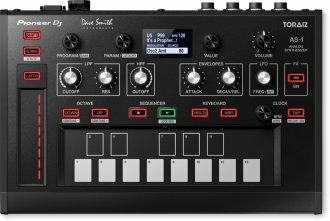 Working closely with Dave Smith himself, Pioneer has created a synth that produces powerful analogue sound. The TORAIZ AS-1 is an ideal addition to the setups of professional and aspiring producers. The AS-1 is based on the same analogue filters as Dave Smith's renowned Prophet-6 synthesiser. It has 2 voltage-controlled oscillators (VCO) with continuously-variable triangle, sawtooth, and pulse wave shapes. Sculpt your sound using the 2 voltage-controlled filters (VCF), a 4-pole, resonant low-pass filter that can self-oscillate, and a 2-pole, resonant high-pass filter. Same Day Music is an authorized dealer of Pioneer products. Available until 11 PM (EST) today. Mention special code 1ZQ-92TL when you call.